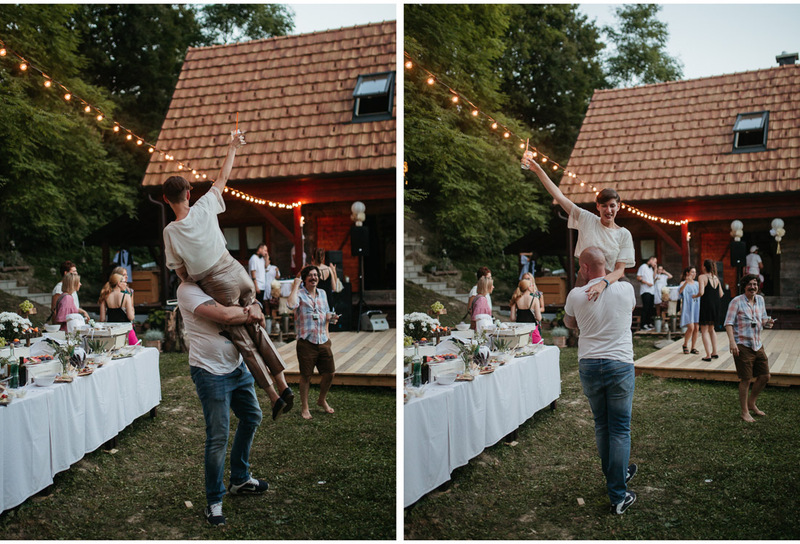 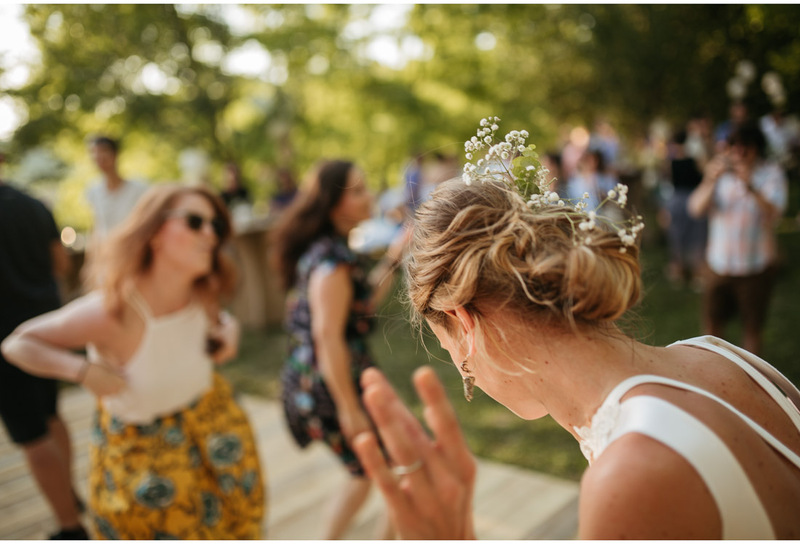 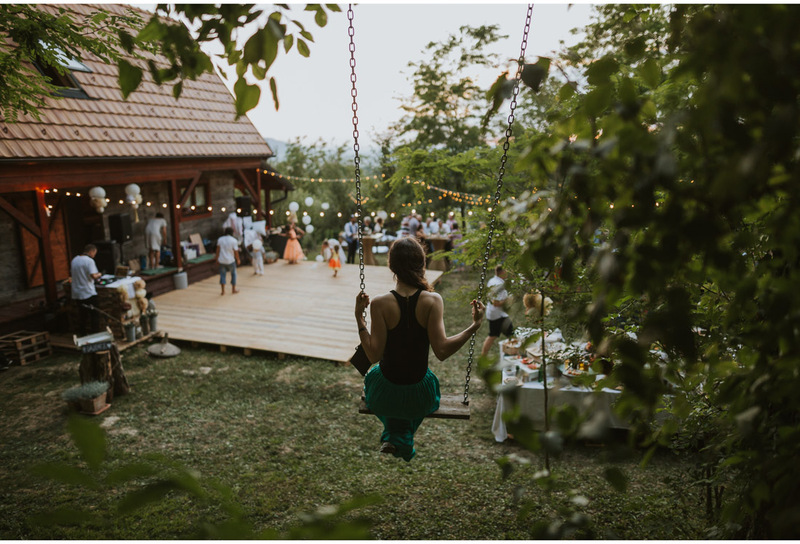 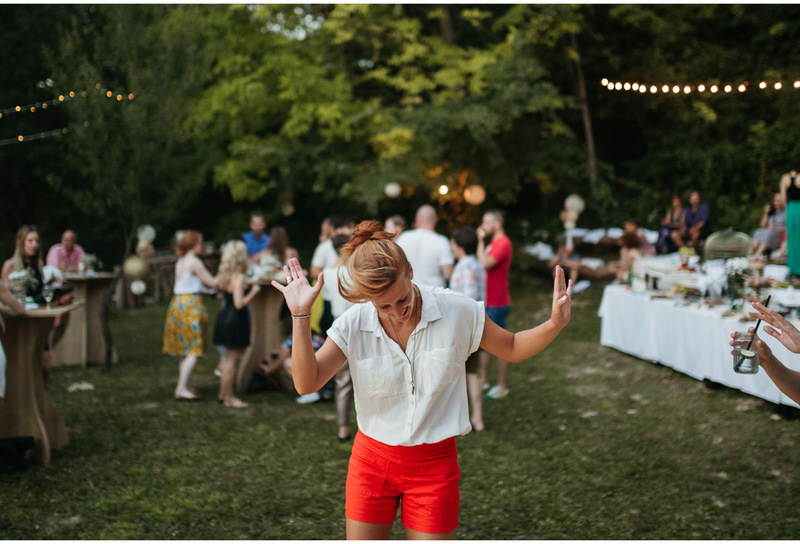 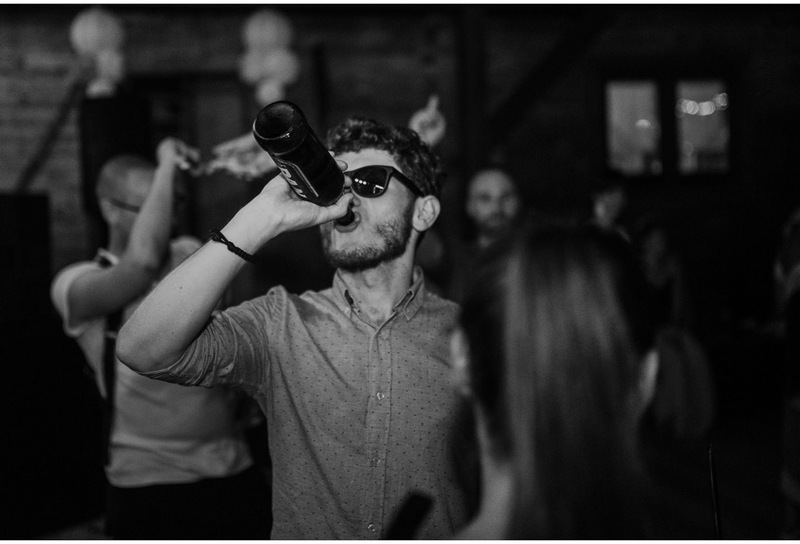 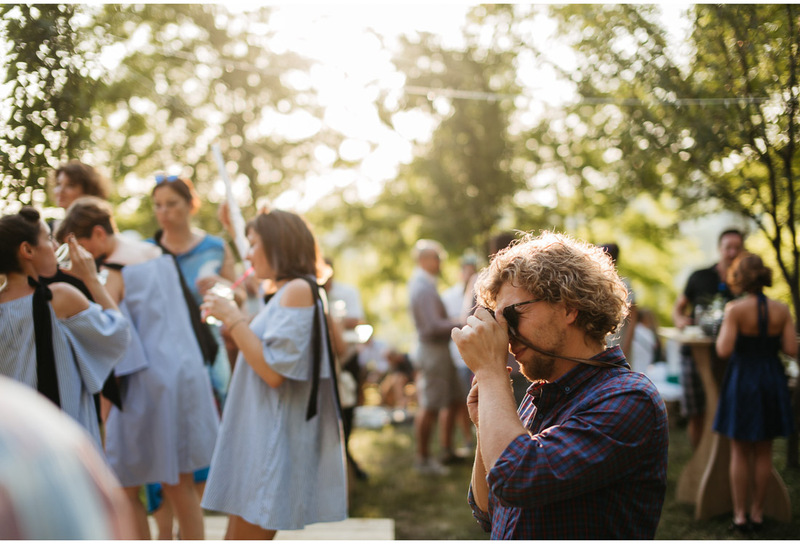 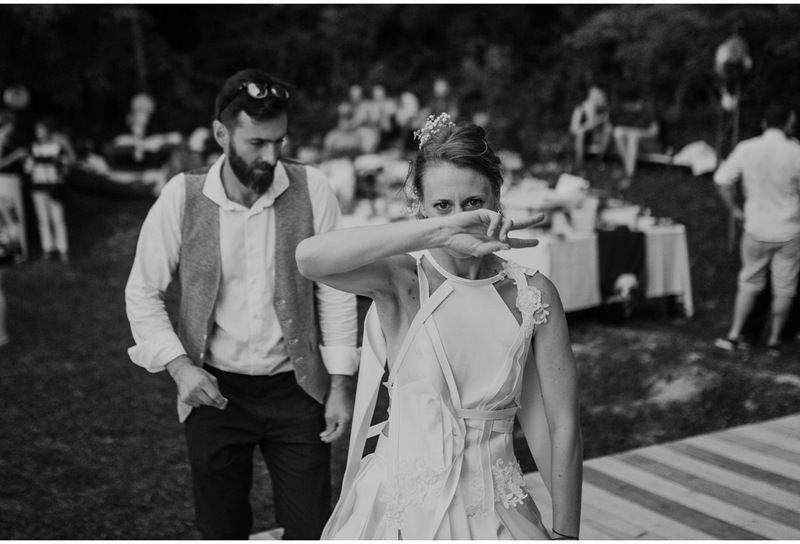 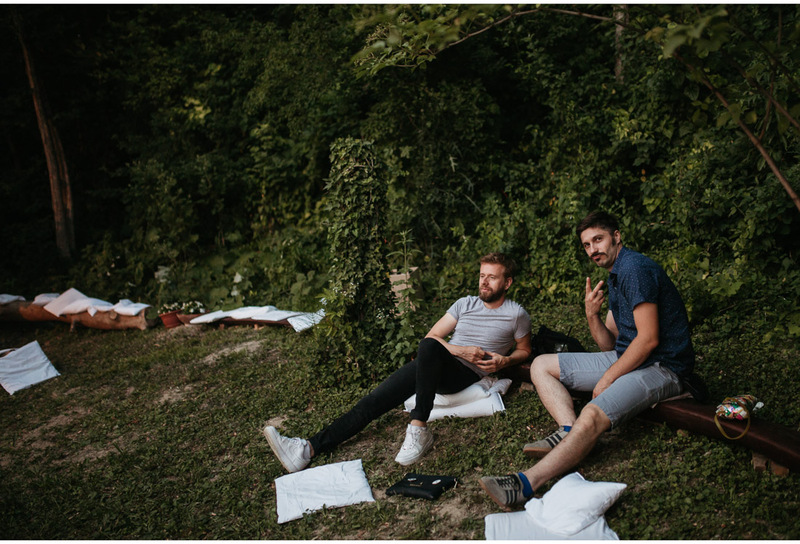 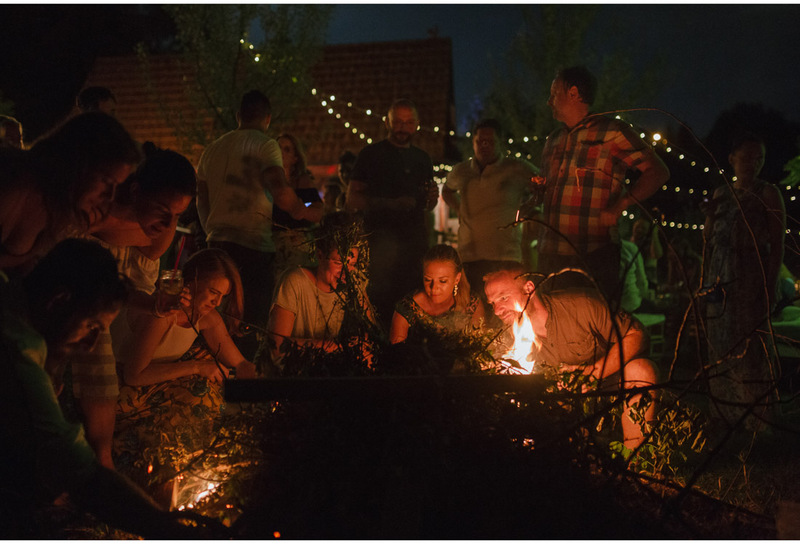 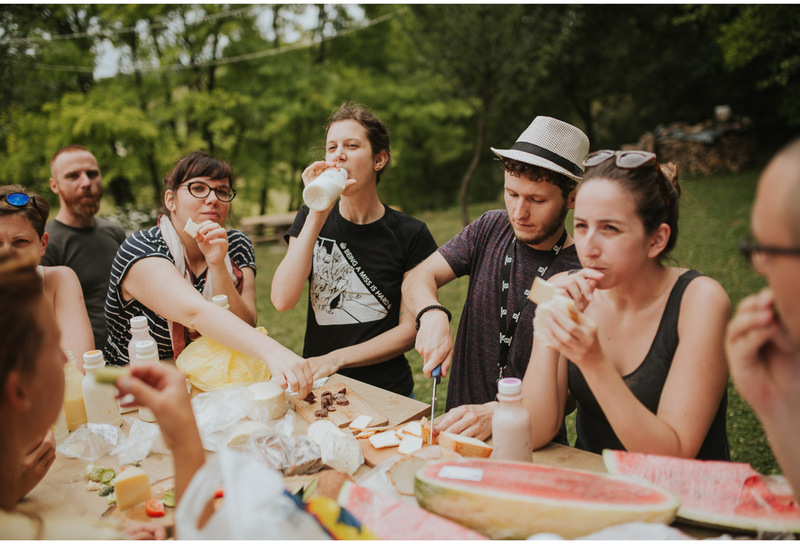 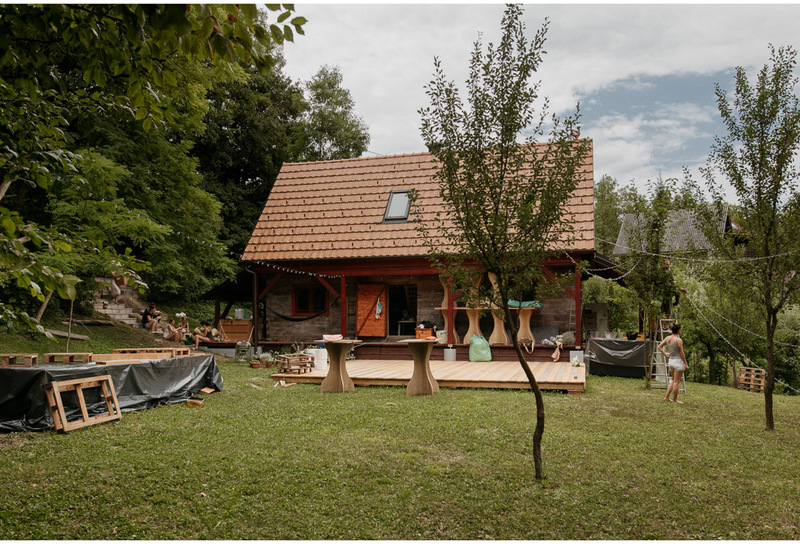 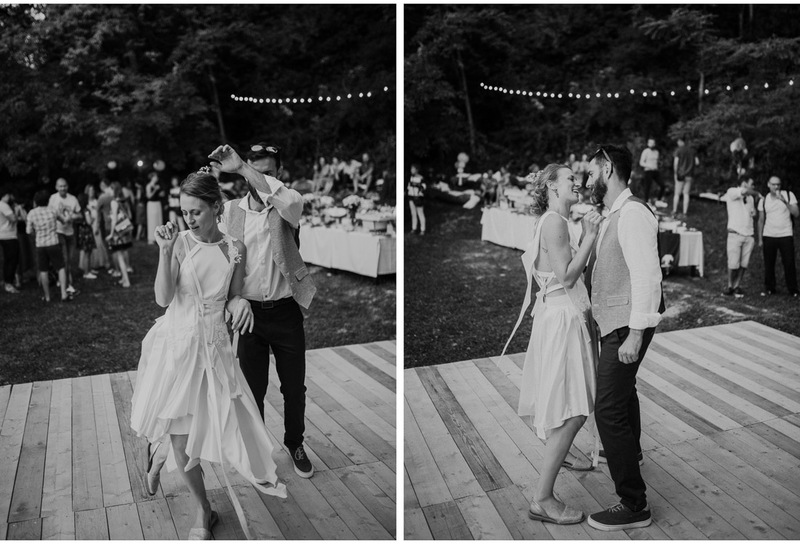 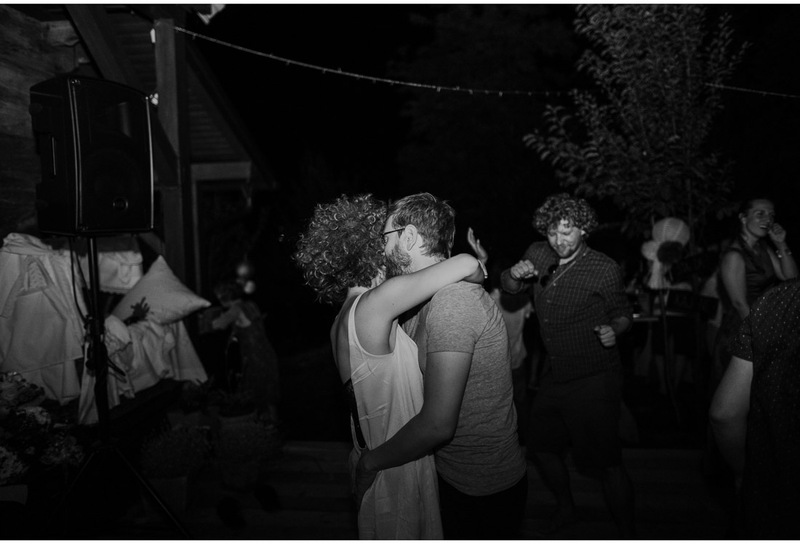 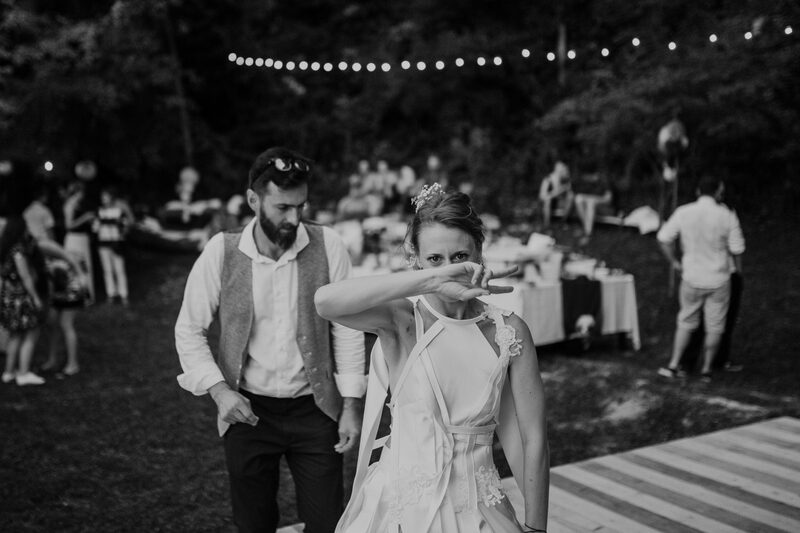 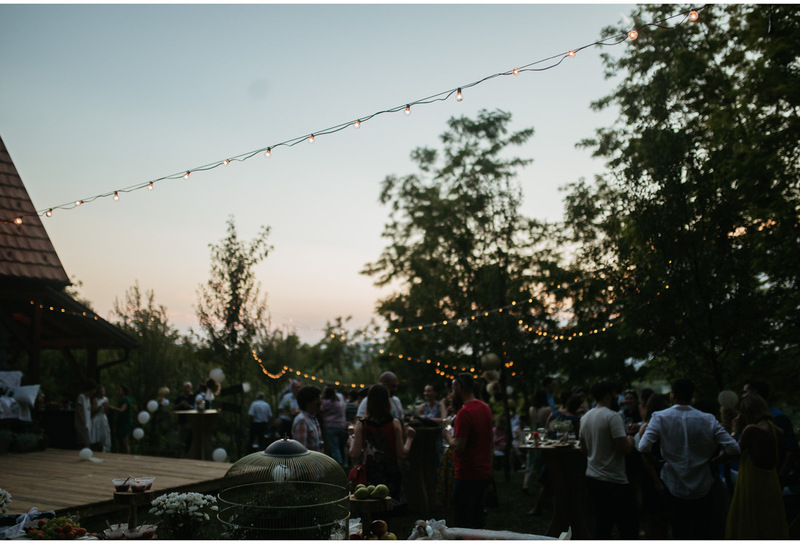 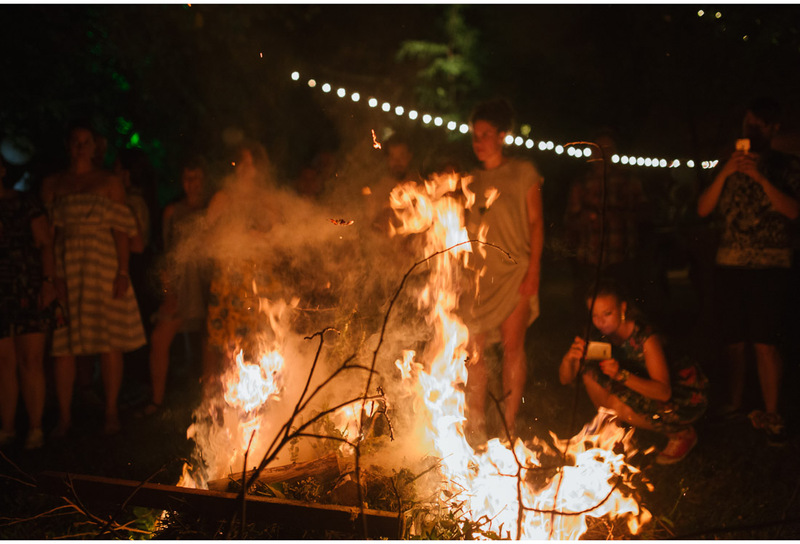 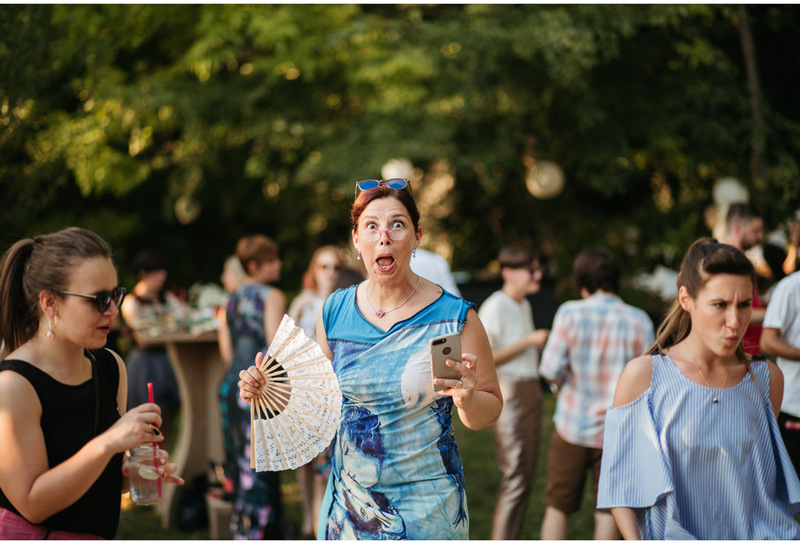 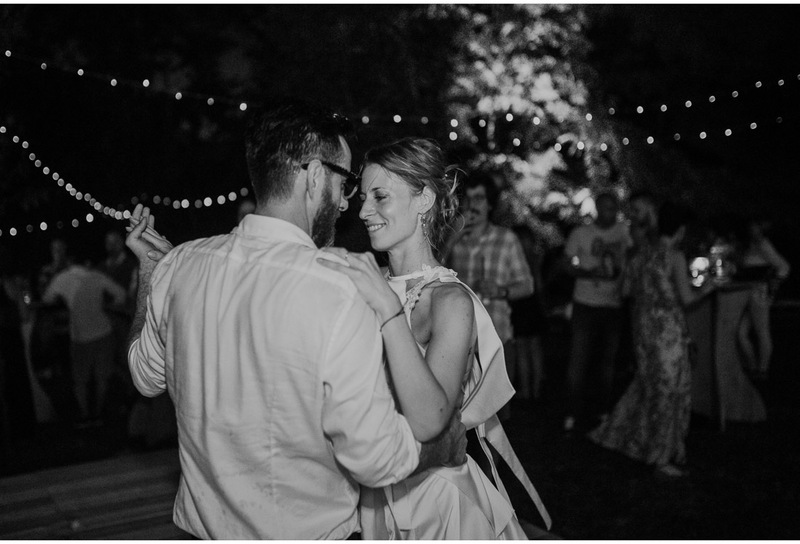 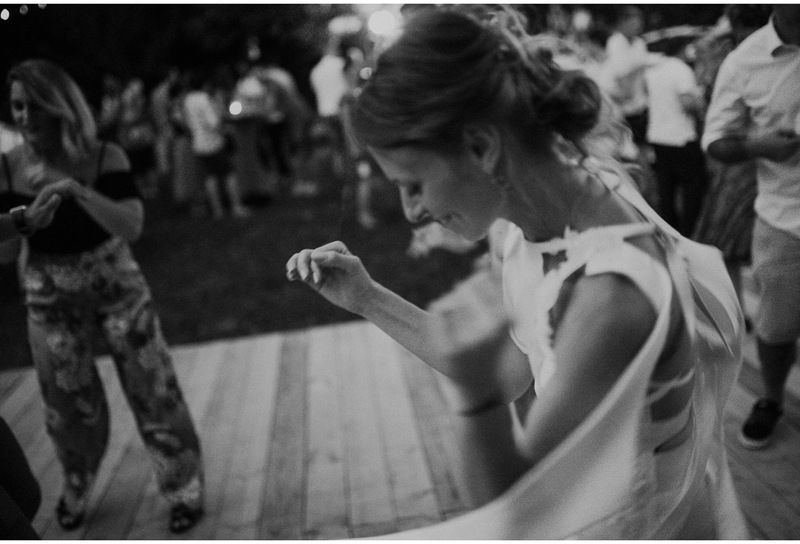 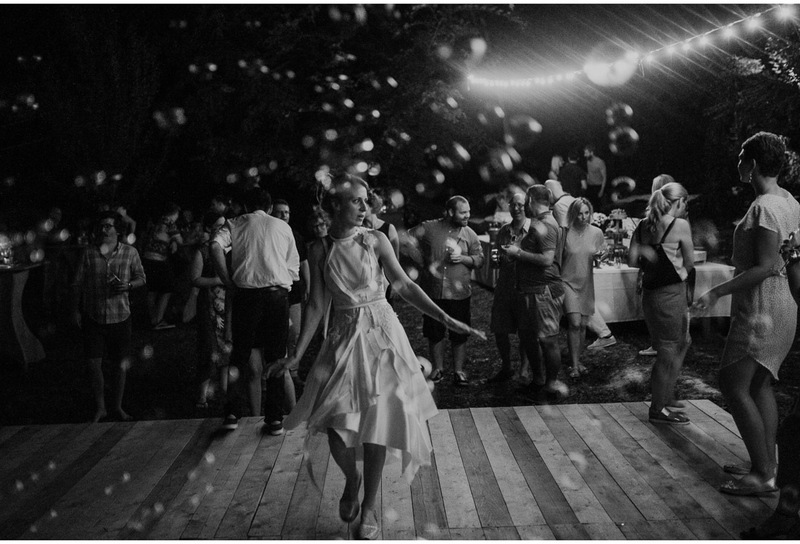 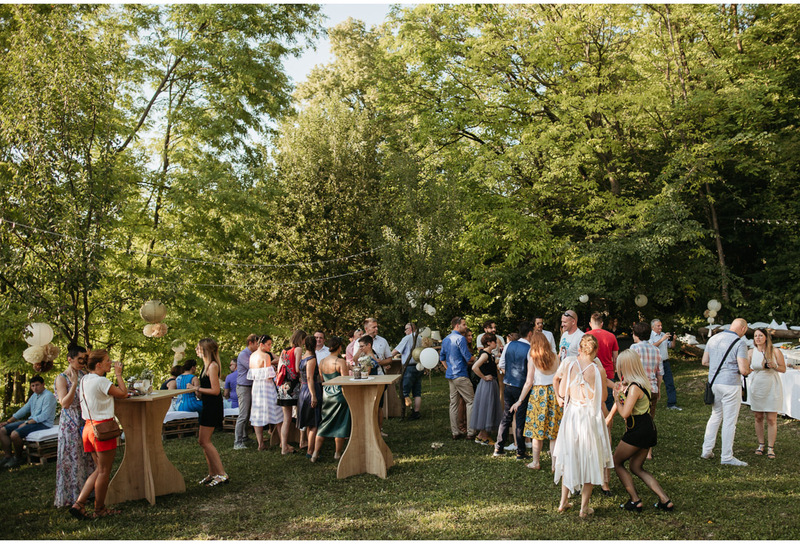 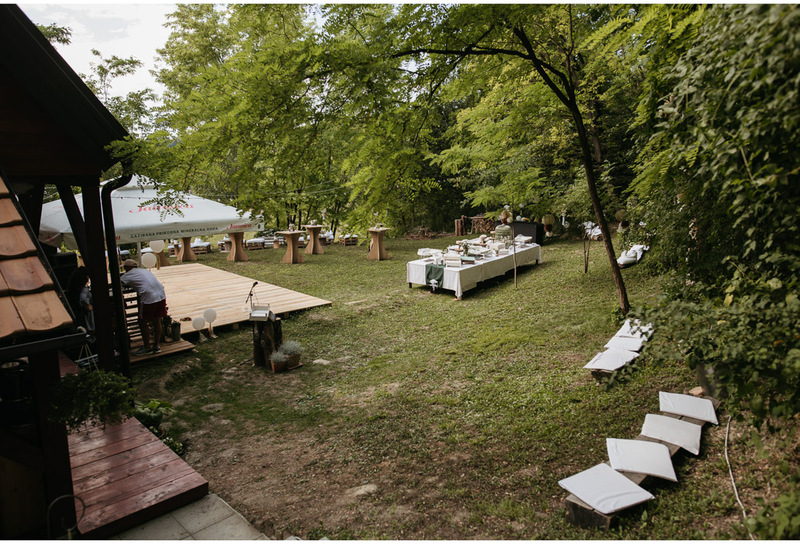 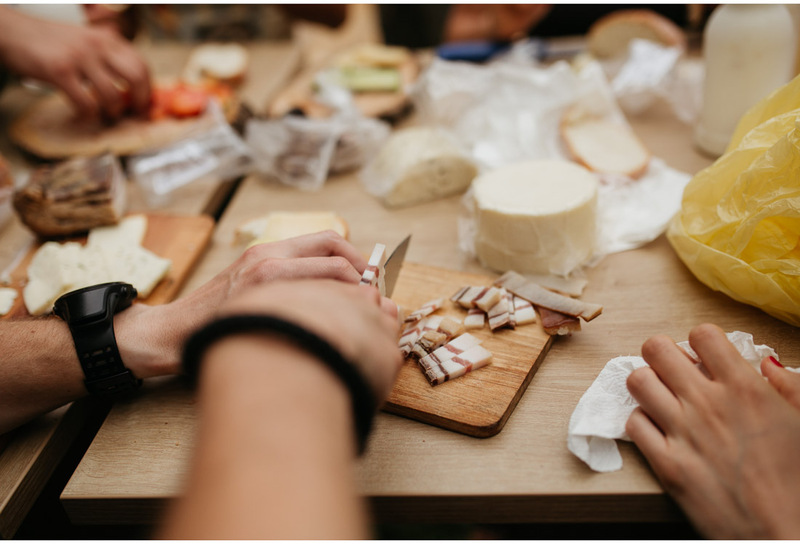 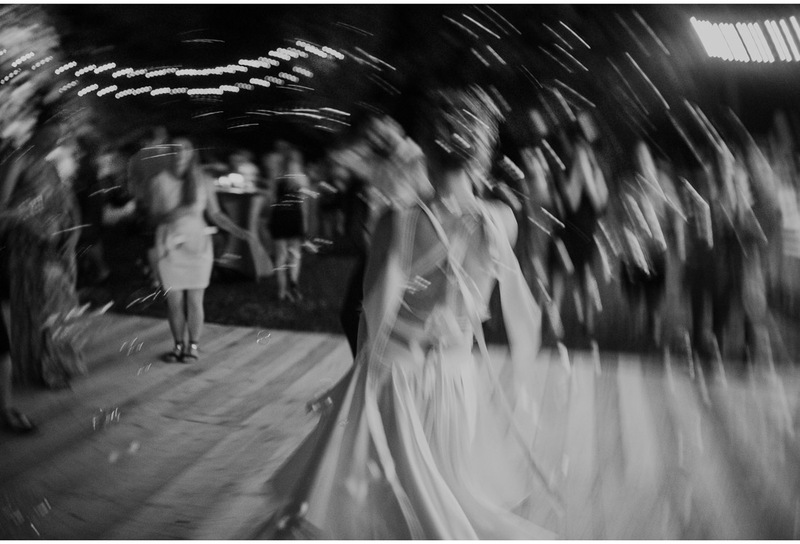 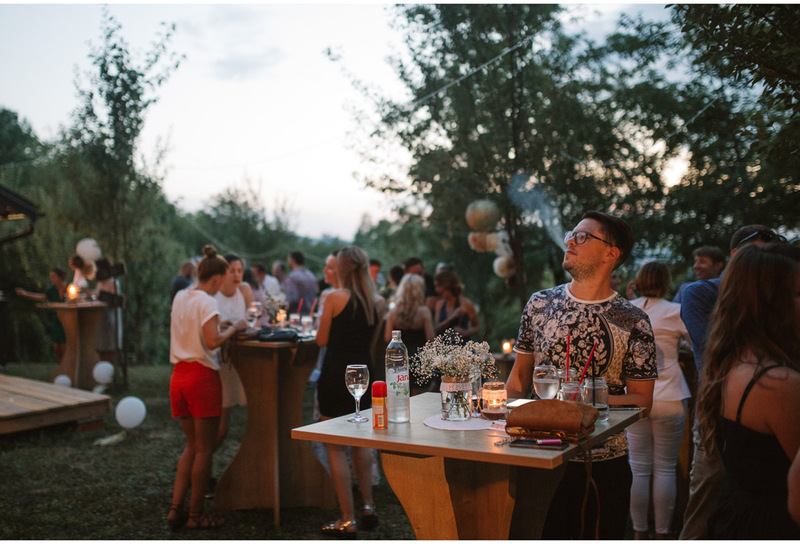 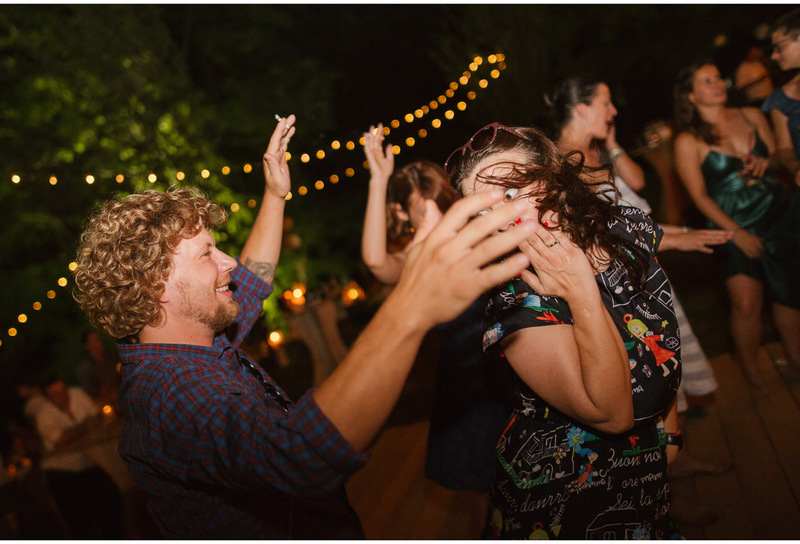 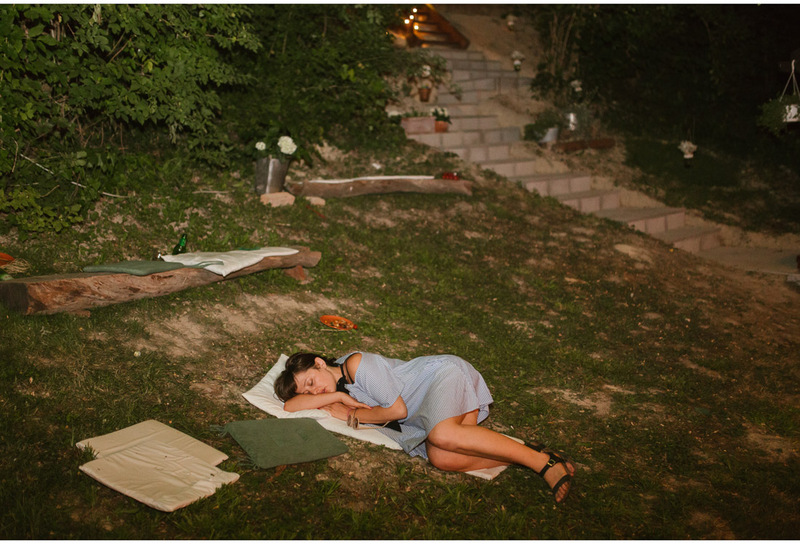 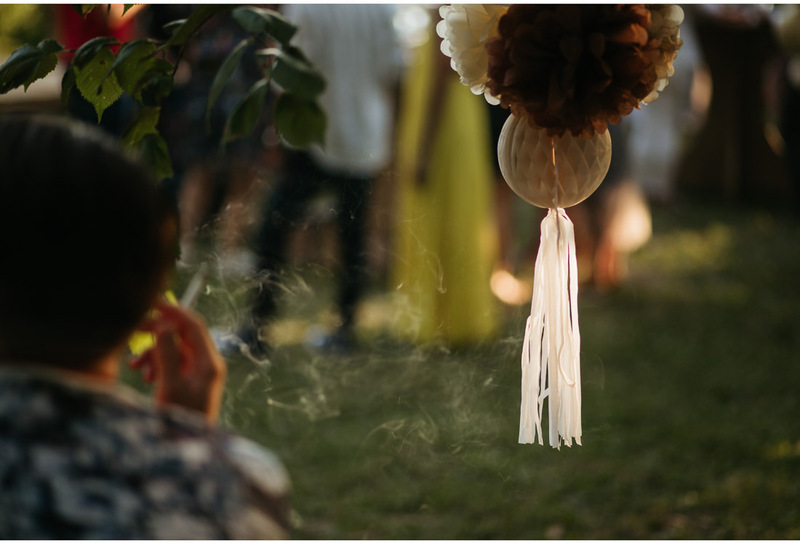 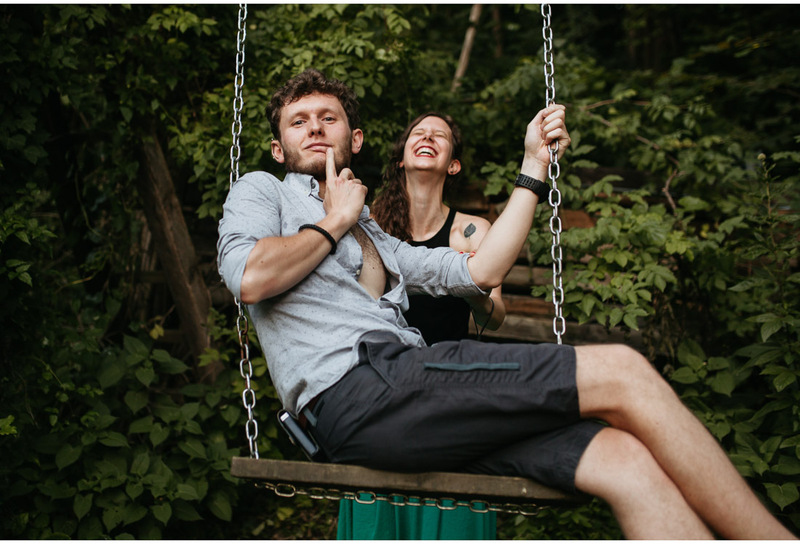 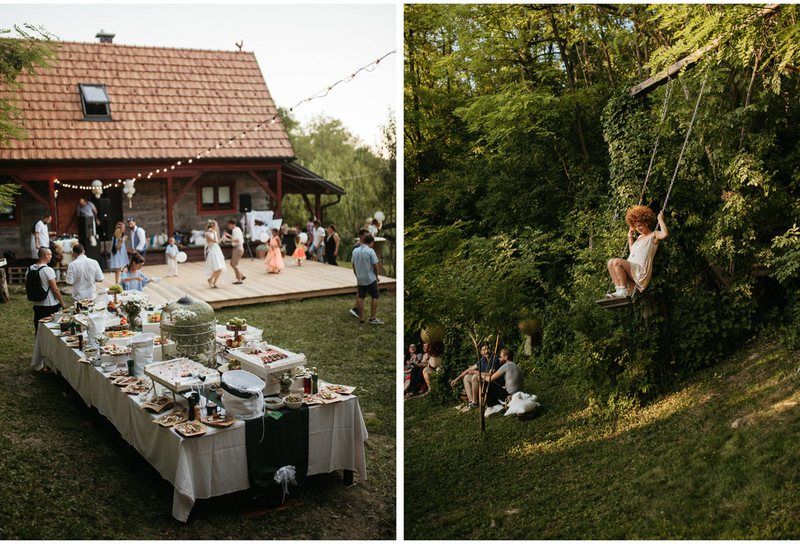 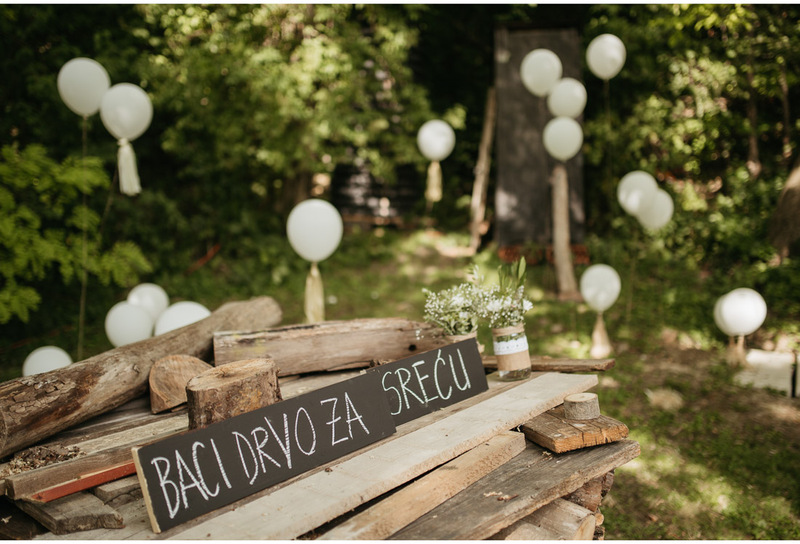 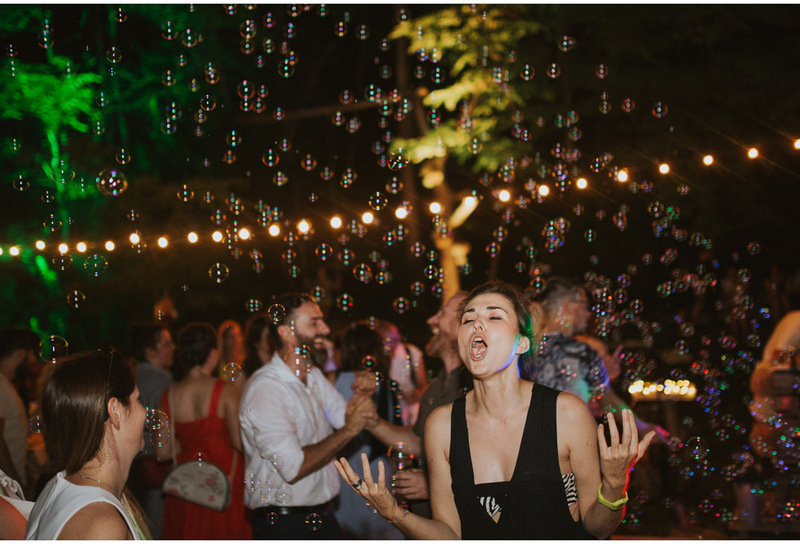 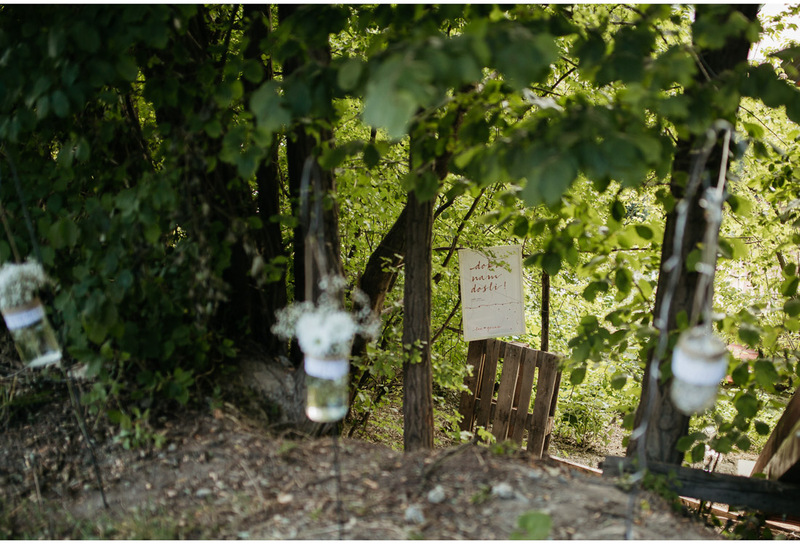 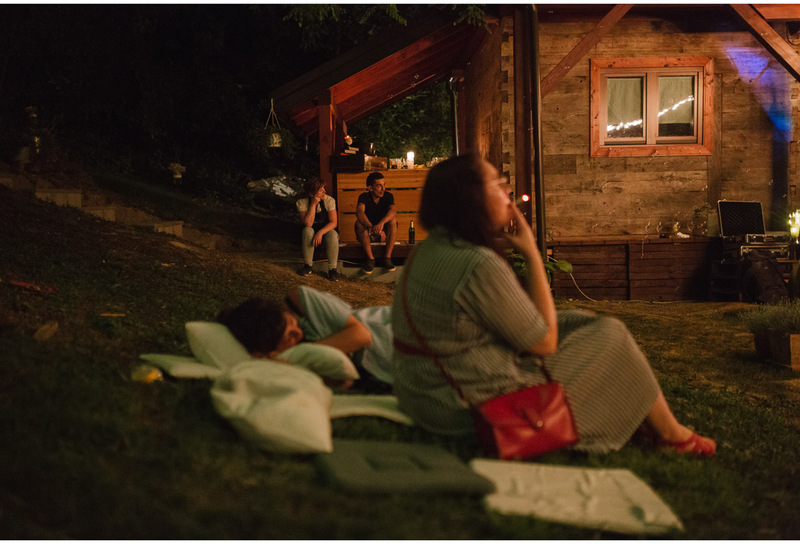 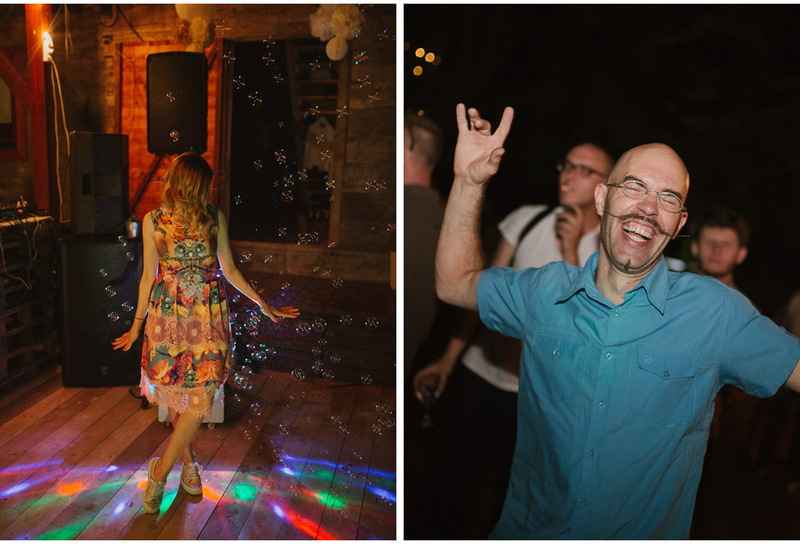 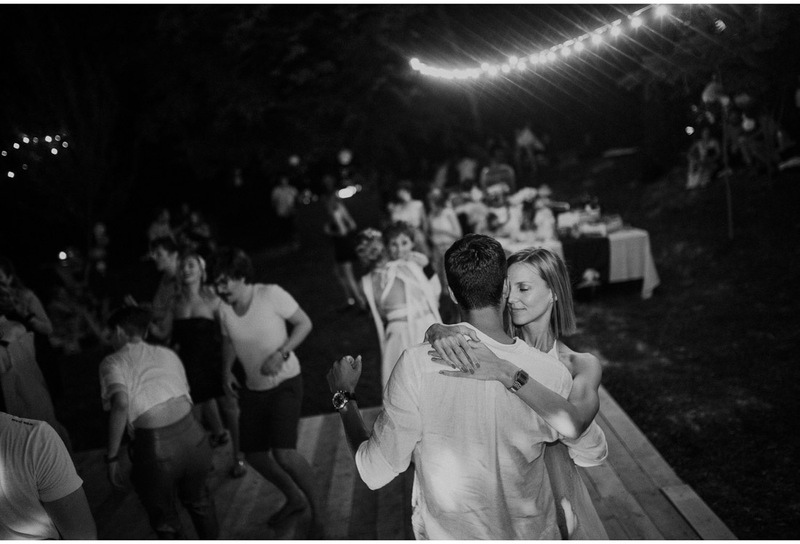 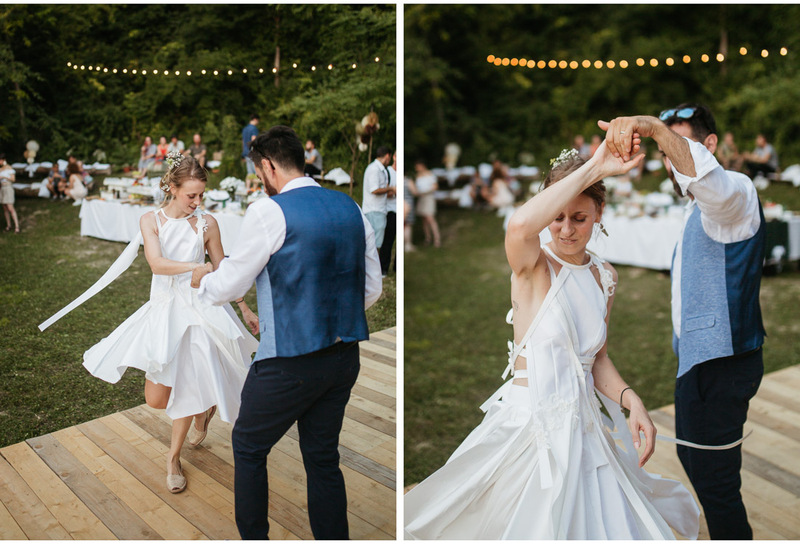 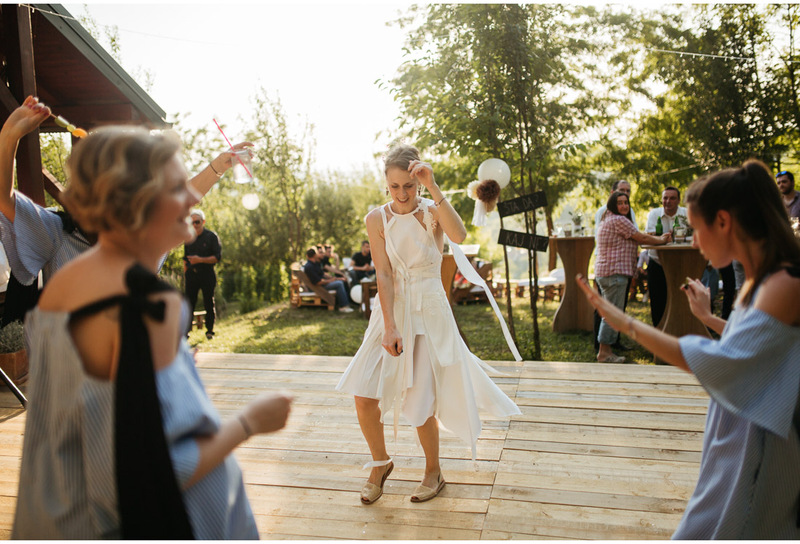 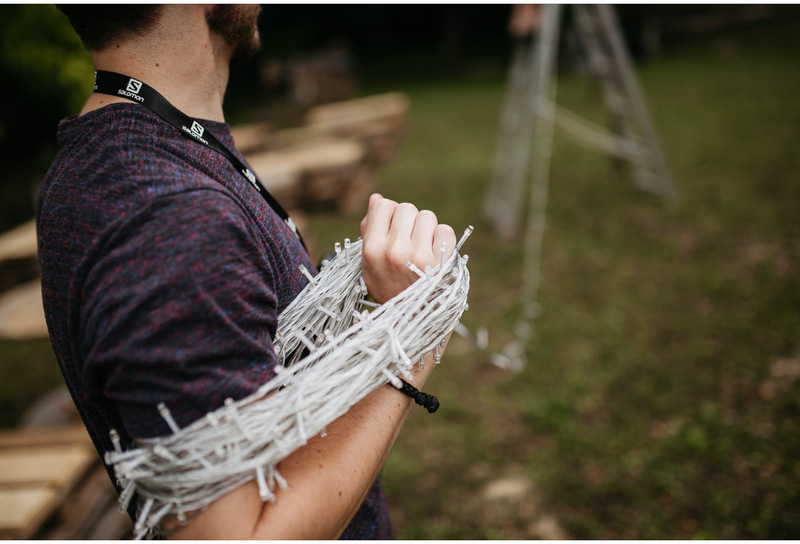 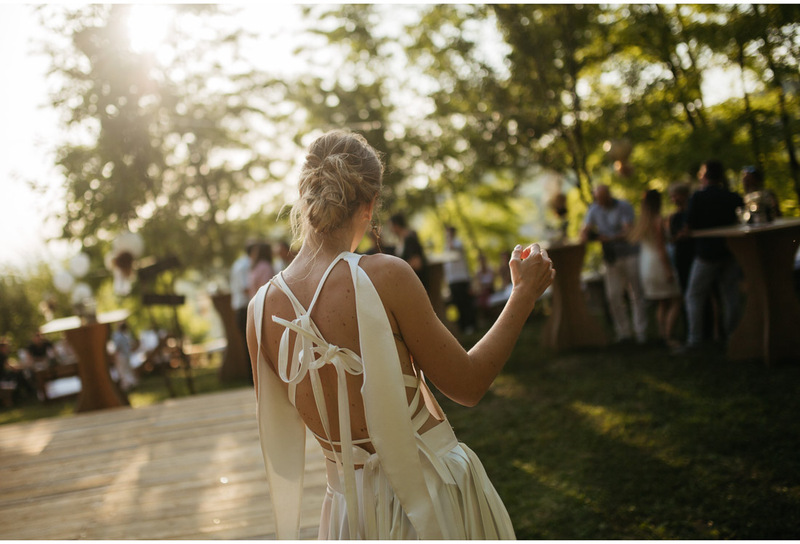 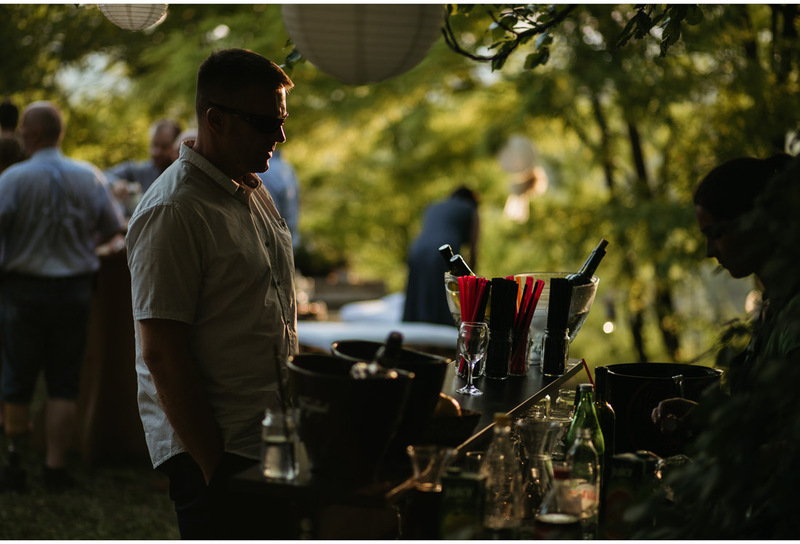 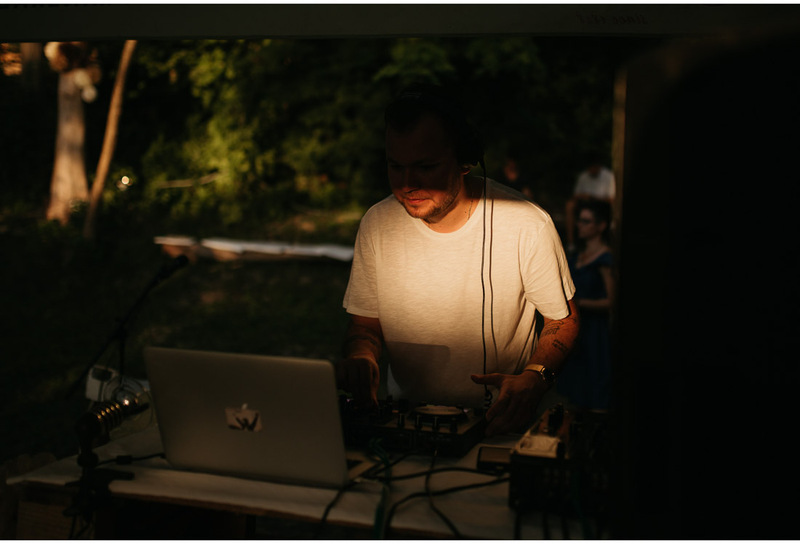 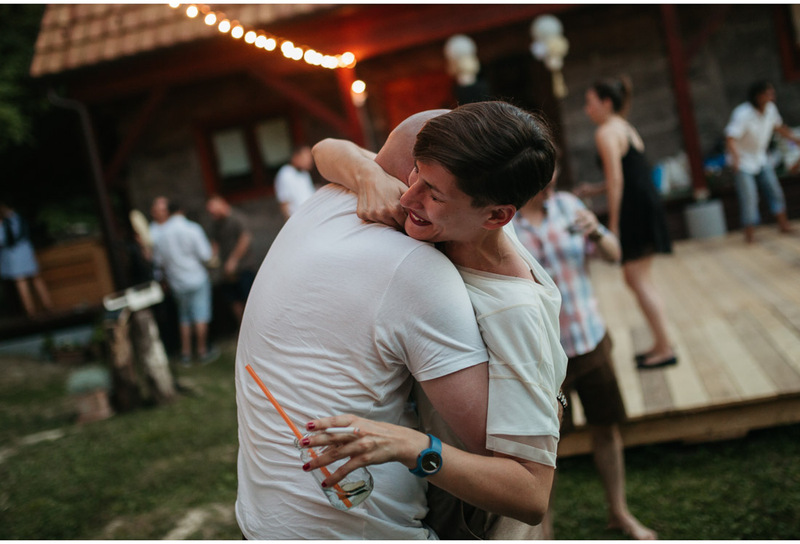 This is a story about Lea & Goran’s backyard wedding party which took place somewhere in the middle of Zagorje. 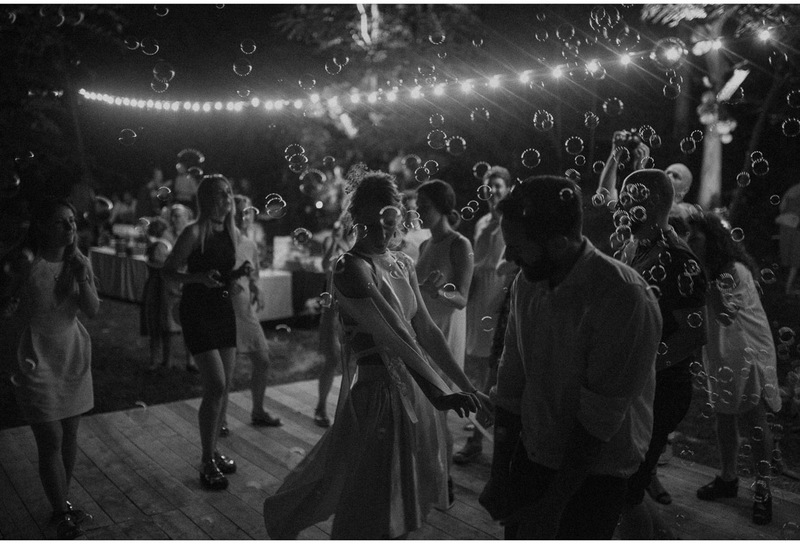 Here there is no couples session, no posing and no ceremony, just honest, spontaneous people having fun. 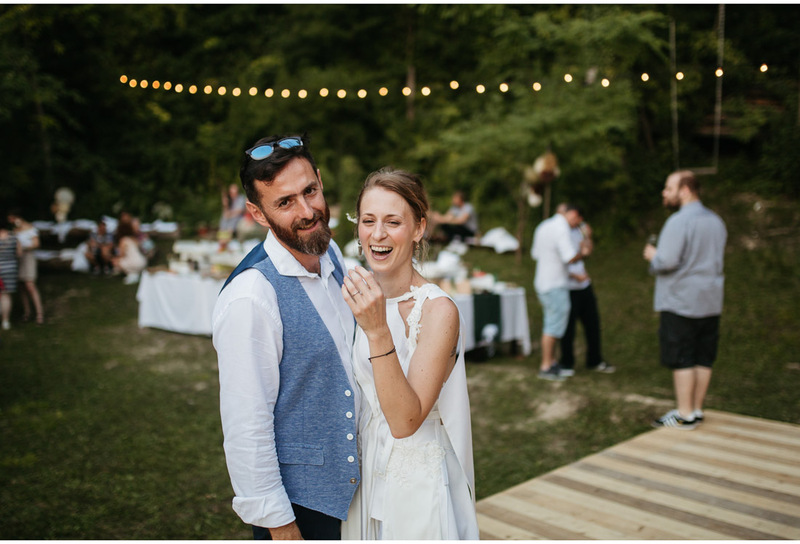 L & G had their civil wedding a day before in Zagreb city hall with just the closest friends and relatives. 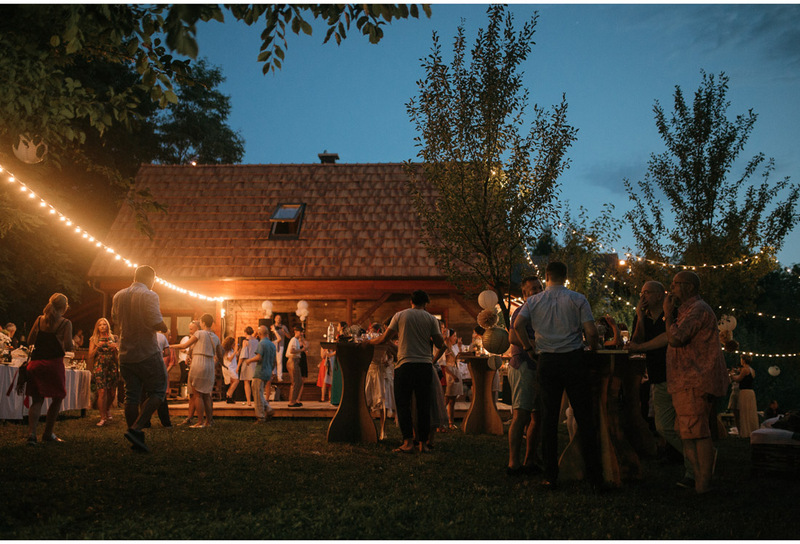 Since they tried to keep the ceremony intimate, but still wanted to celebrate with all of their friends, the plan for the big day after party was born. 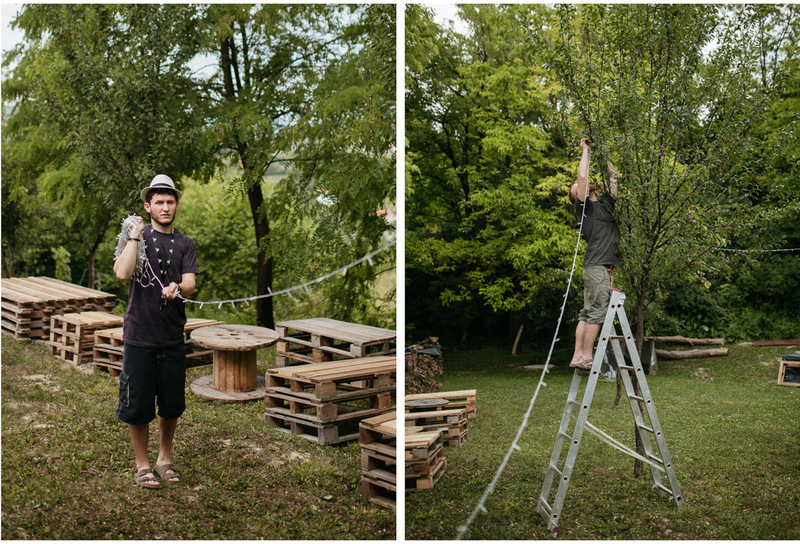 The plan itself was quite simple. 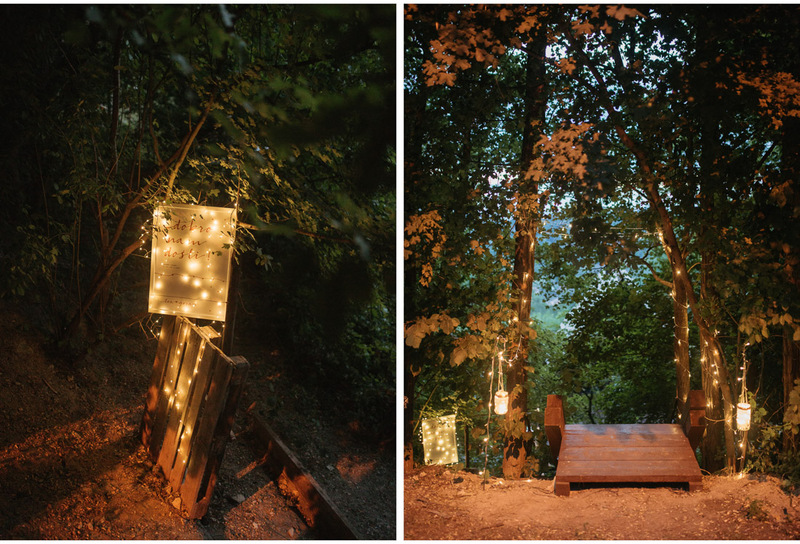 Morning was reserved for venue decoration to make this a real DIY backyard wedding party. 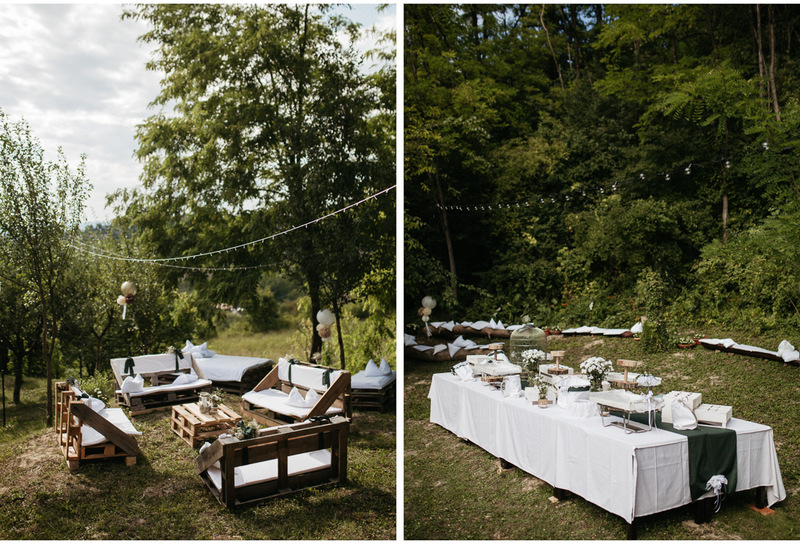 After hard work, the girls and guys treated themselves with some amazing food from a local farm. 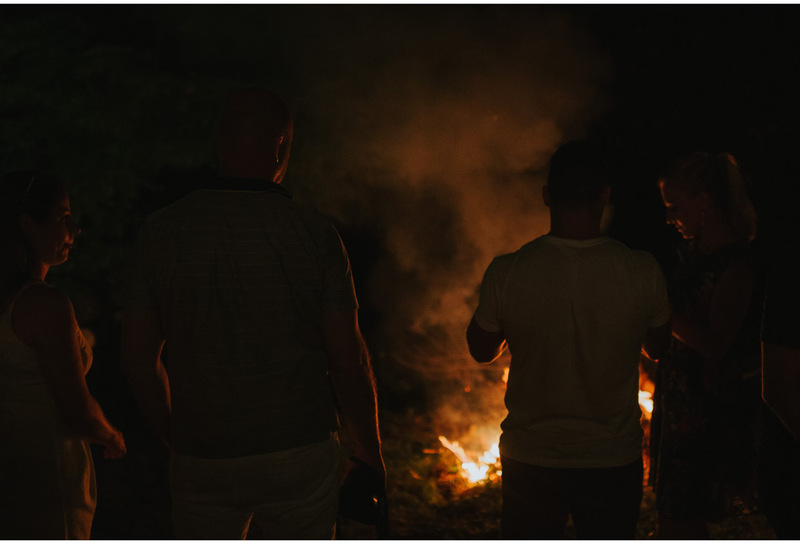 I can still smell that bacon 🙂 Just a few hours later, when the sun dropped, it was party time! 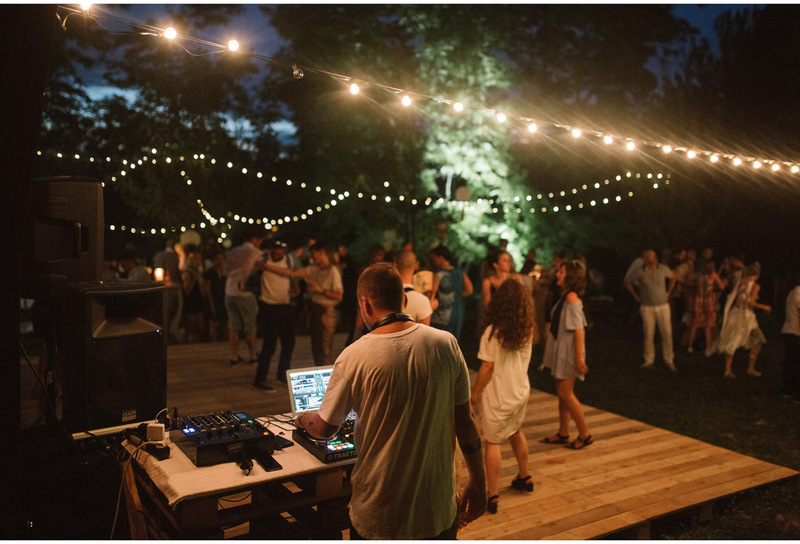 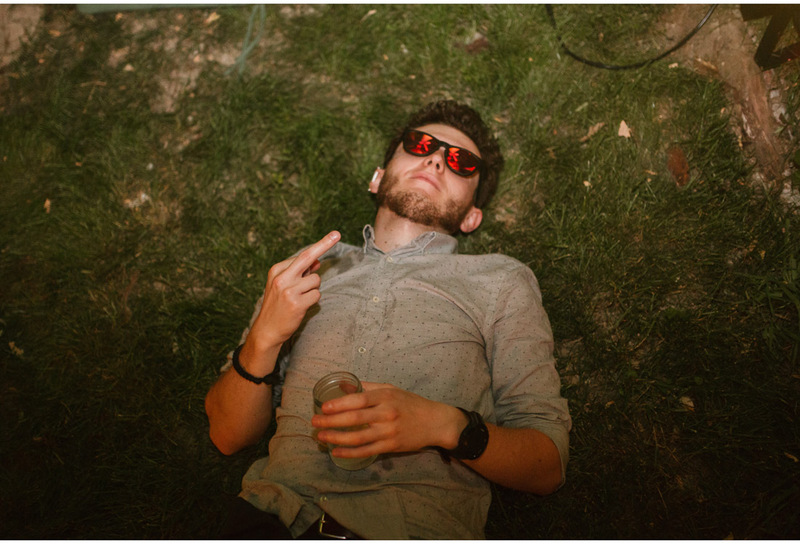 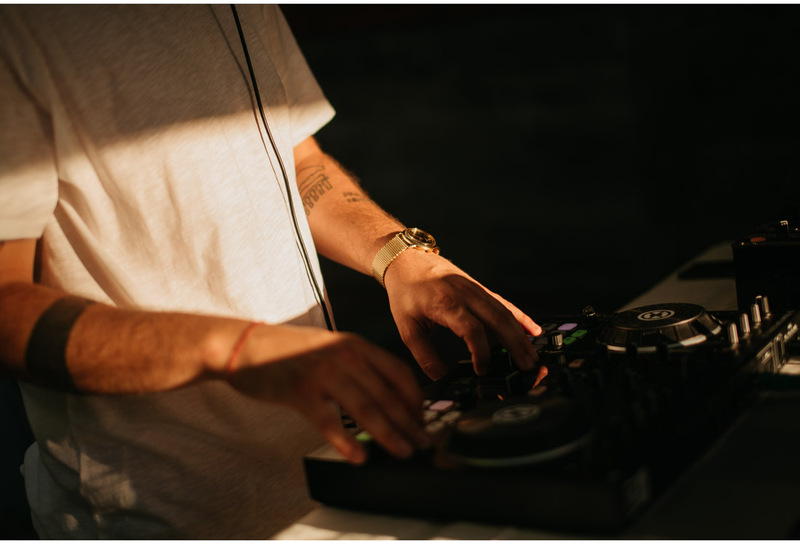 The DJ was awesome, beers were cold as ice and guests partied like crazy. 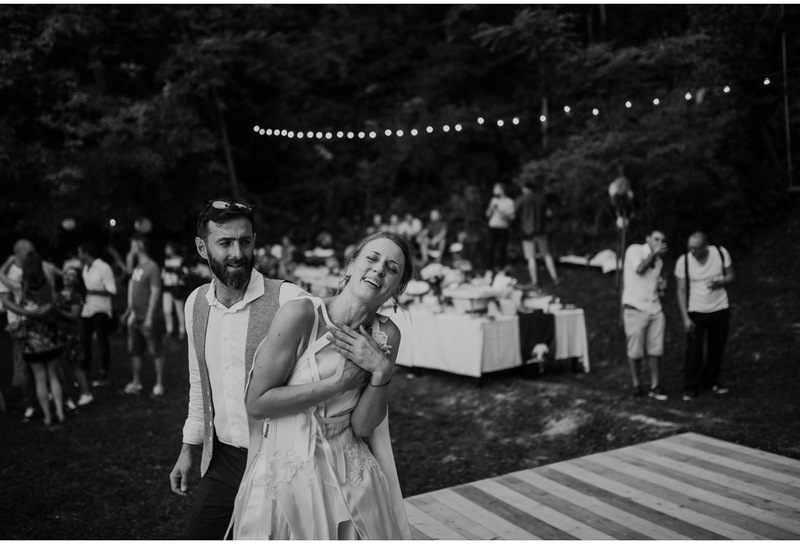 I just loved every second there. 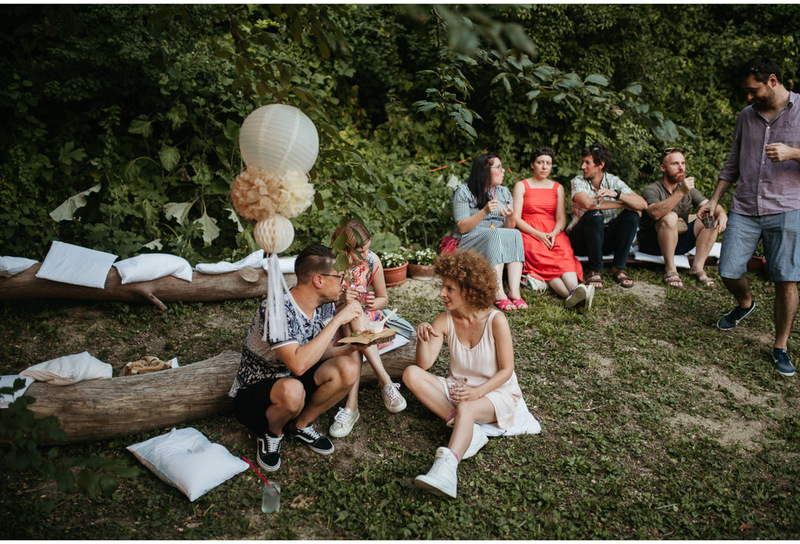 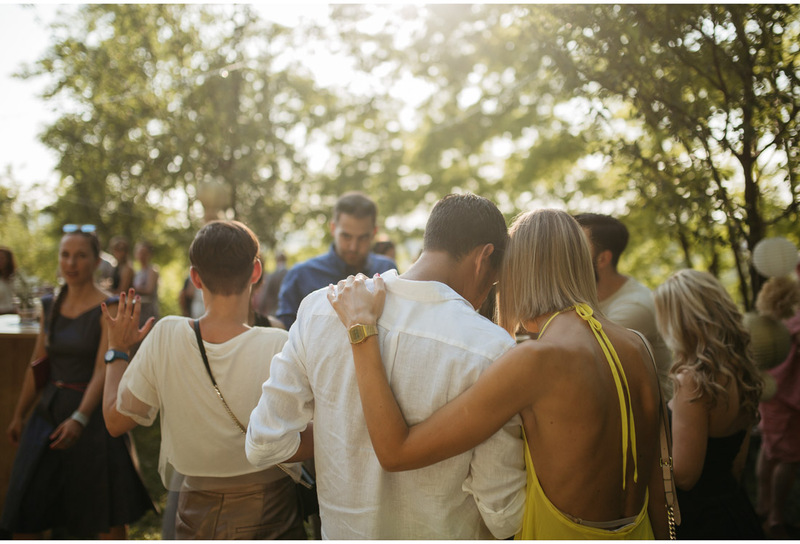 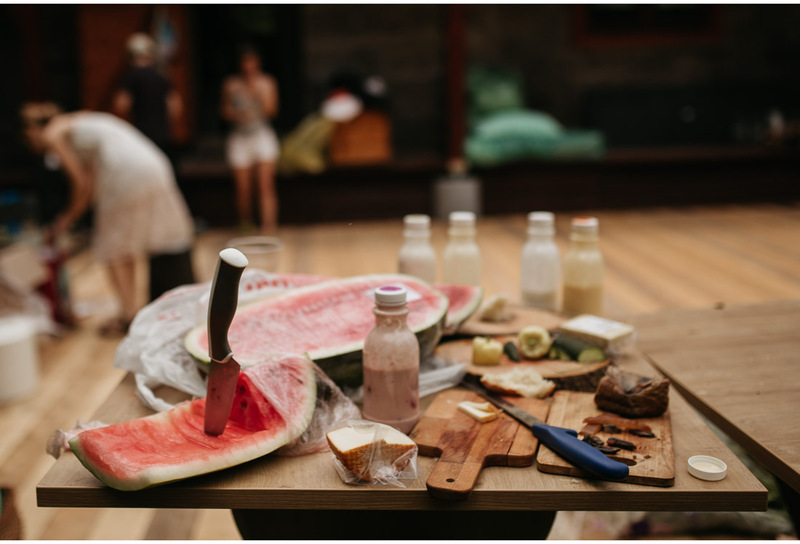 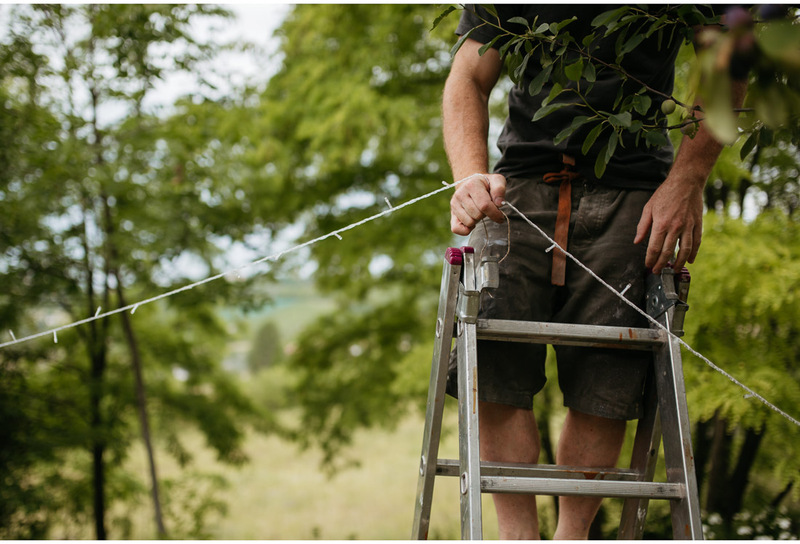 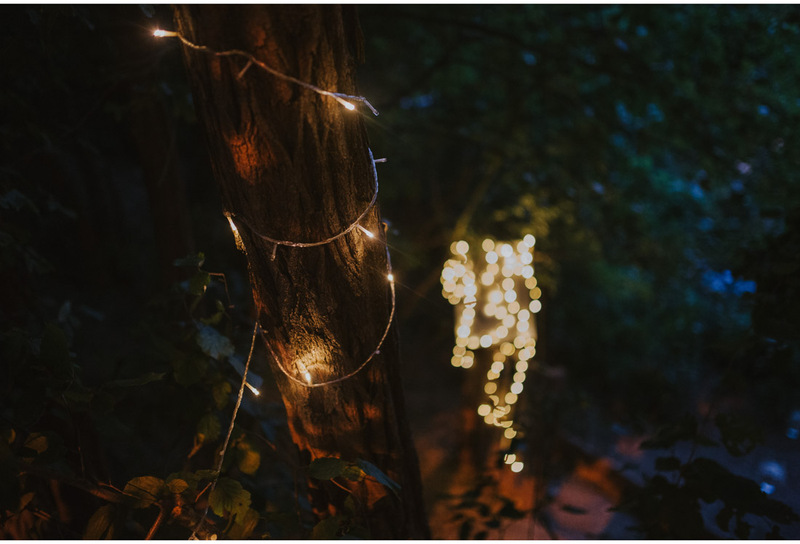 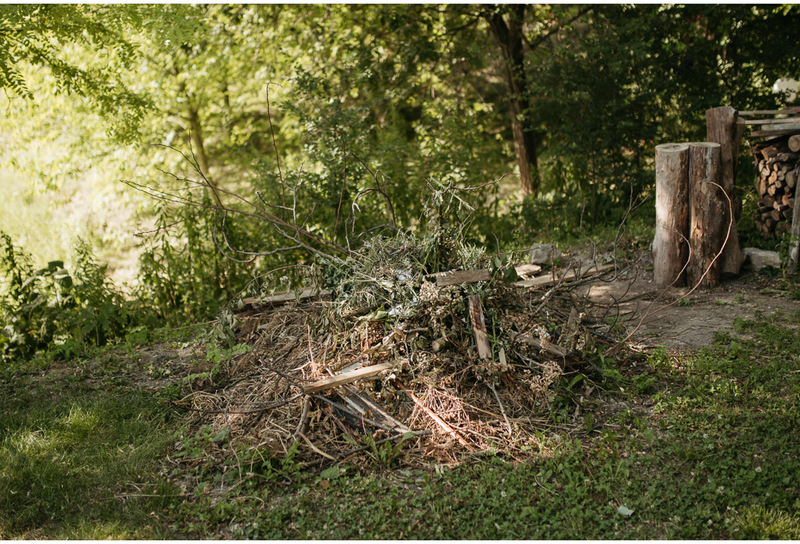 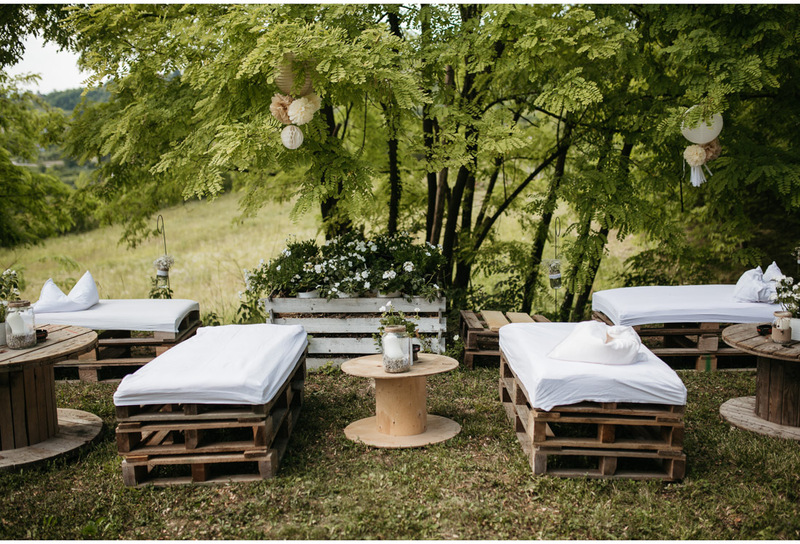 DIY Backyard Wedding Party is just down your alley?